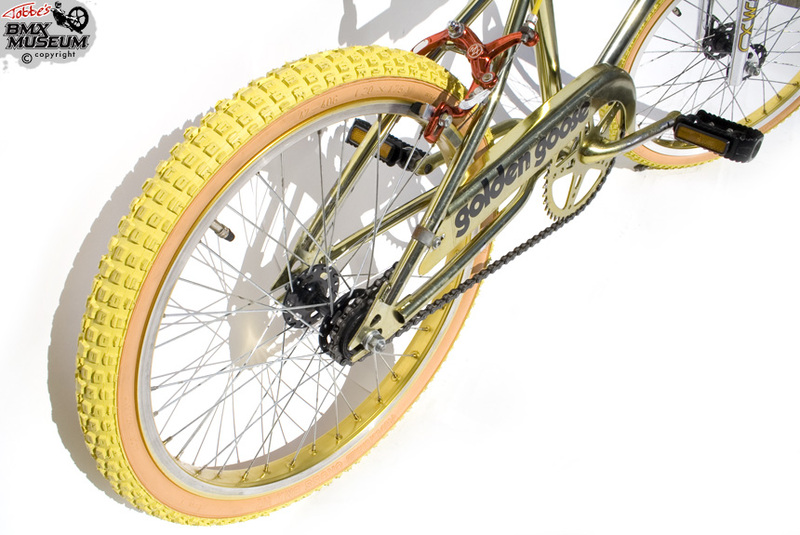 I found this “golden” BMX bike at Blocket.se (swedish version of Craigs List). It’s in very good condition. 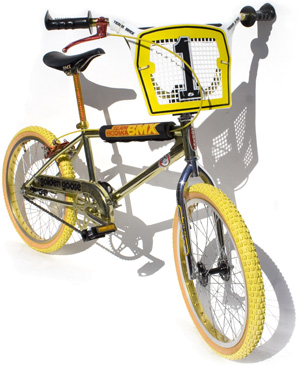 I haven’t found any other Hodaka BMX bikes at the internet. 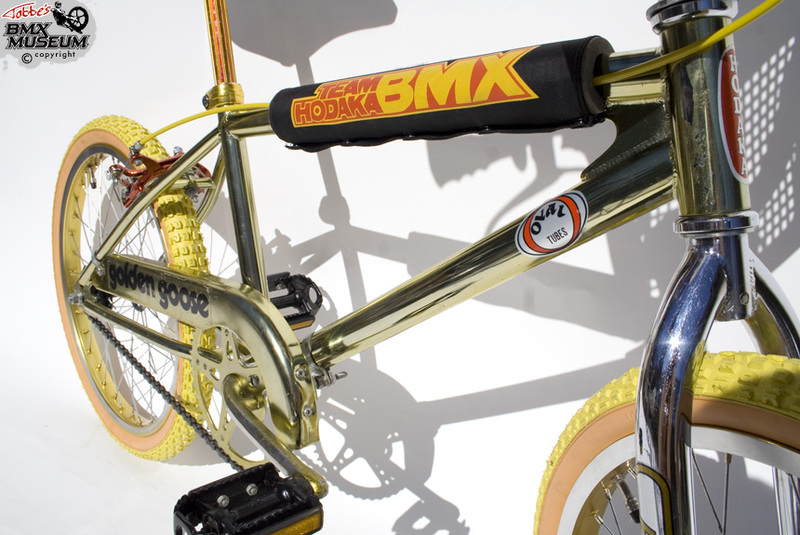 Hodaka was a successful motocross manufacturer in the 80´s. I’m not 100% sure if it’s made in 1984, but there was a stickers applied to the bike that said it was tested to be a “safe bike” in 1984. 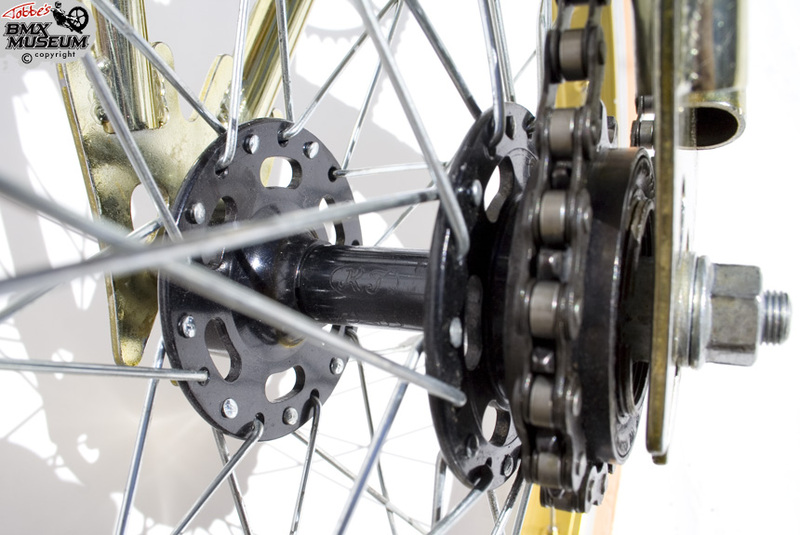 The bike may have been made earlier than 1984. 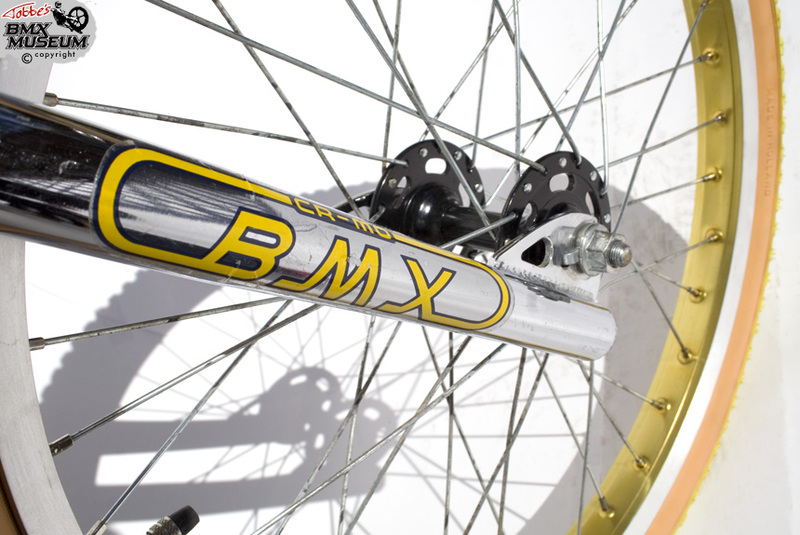 I took the original Akisu aero fork to my Kuwahara Nova and replaced it with a fork from a MT-Racing UFO instead. 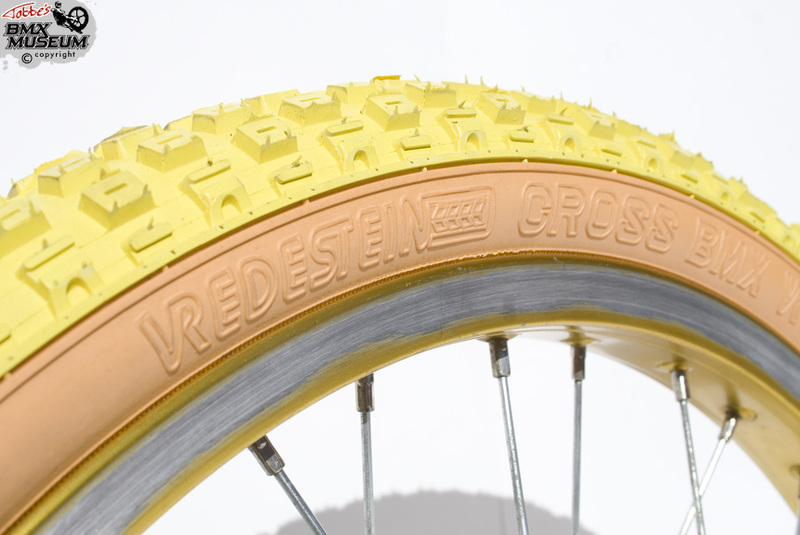 The original black Comp3 copy tires was cracked and has been replaced with Vredestein gumwalls instead (made in the Netherlands). 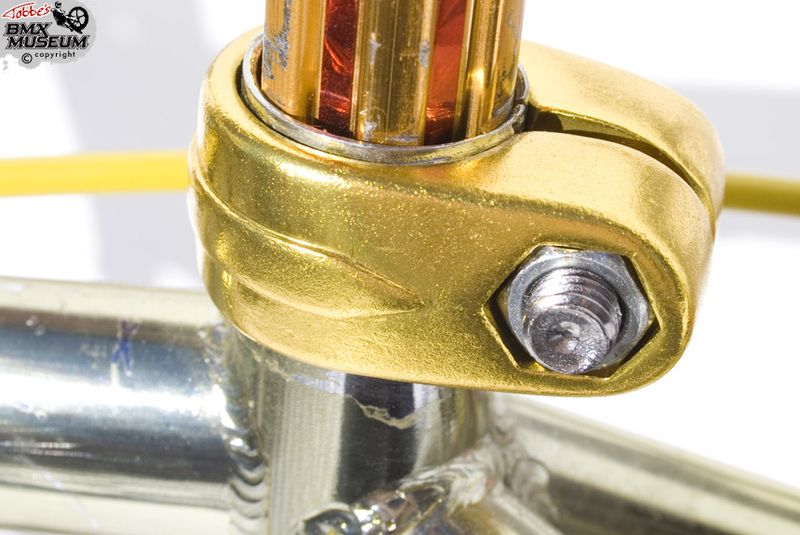 The original black seat post clamp (it was badly faded) was changed to a SunTour copy in gold. 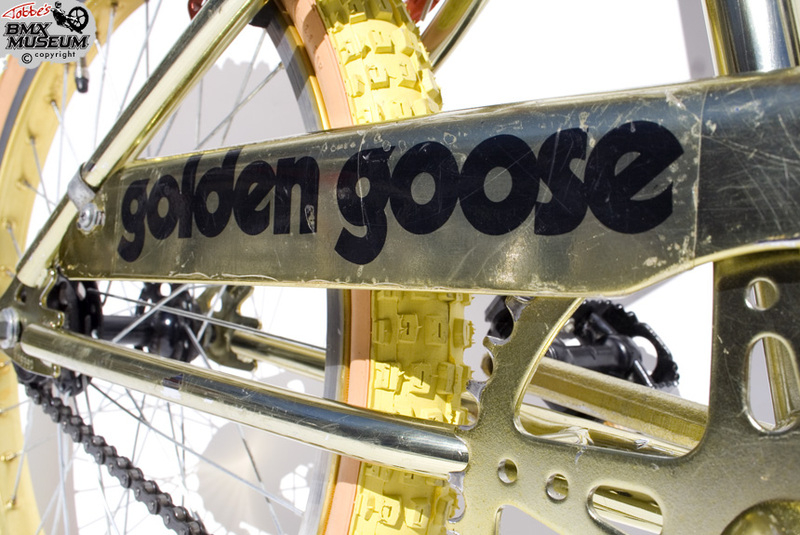 FRAME 1984 Hodaka Golden Goose. 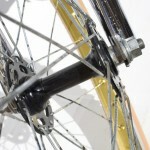 Made by Akisu with oval down tube. 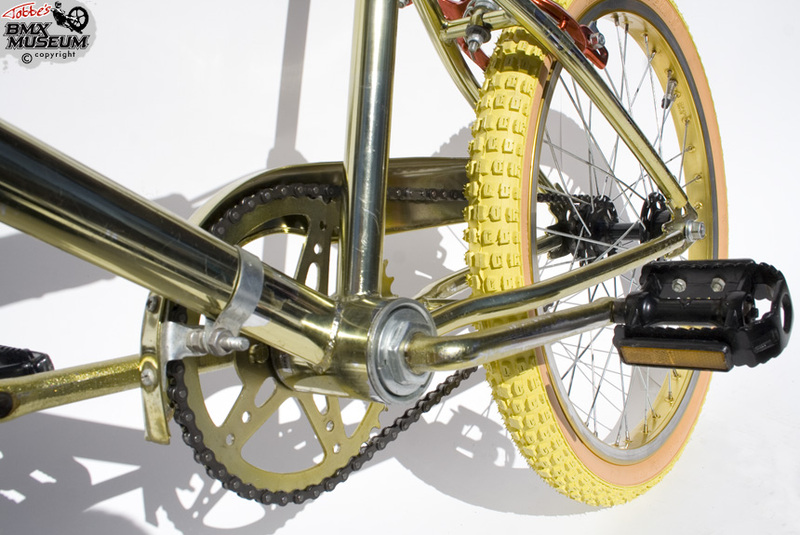 Gold lacquered chrome. 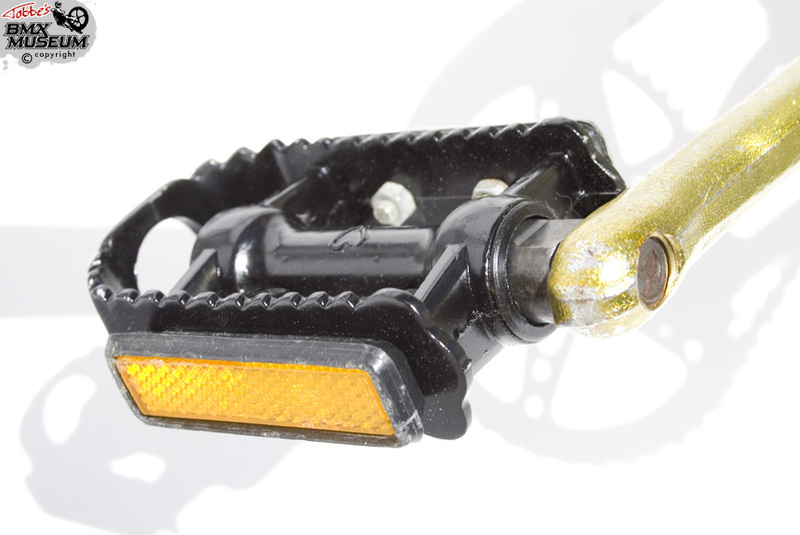 HANDLEBAR Straight crossbar. 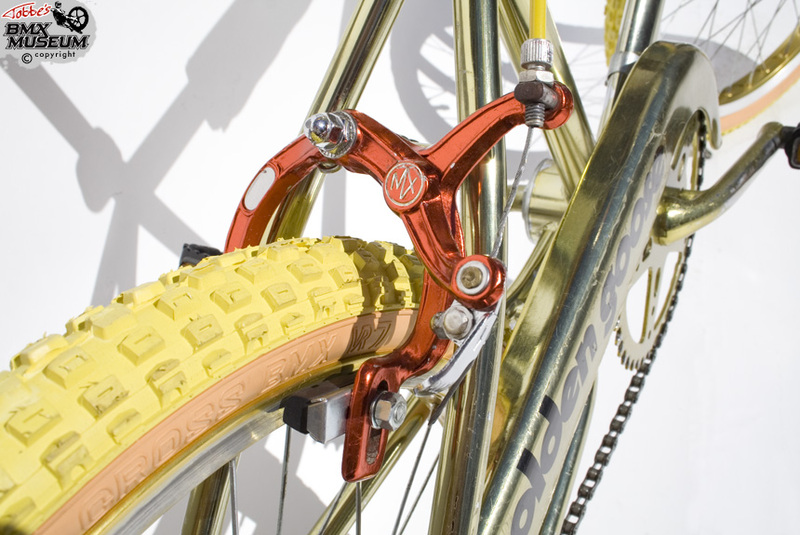 Gold lacquered chrome. 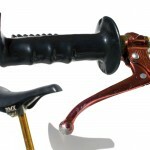 GRIPS Oakley “cobra-style” copys. Black. 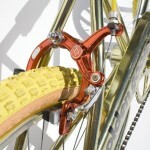 CRANKS 1 piece 165mm. 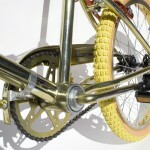 Gold lacquered chrome. 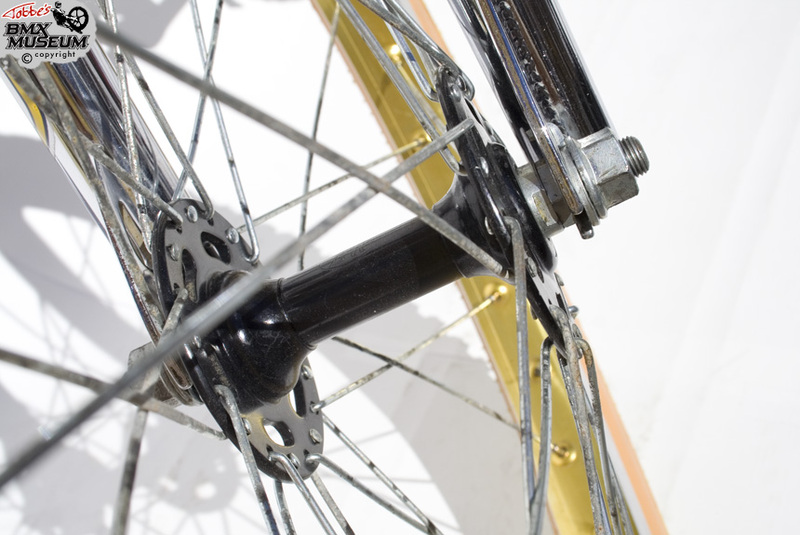 SPROCKET Steel. 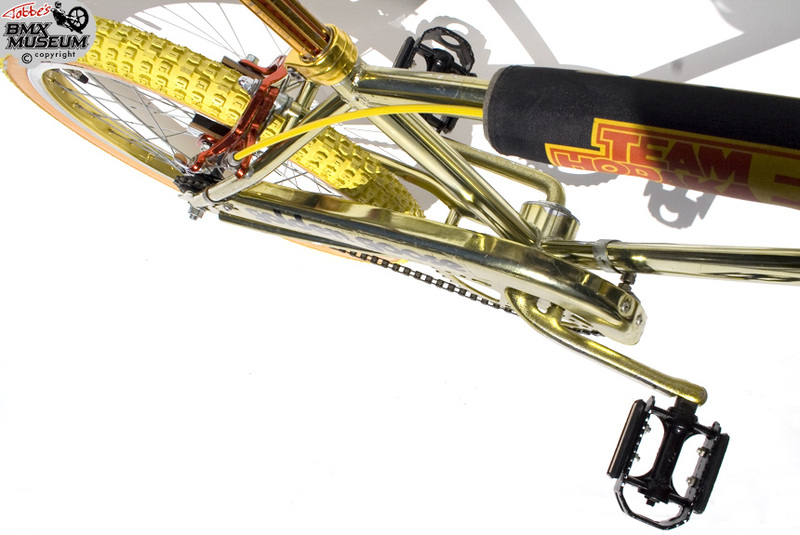 44T. 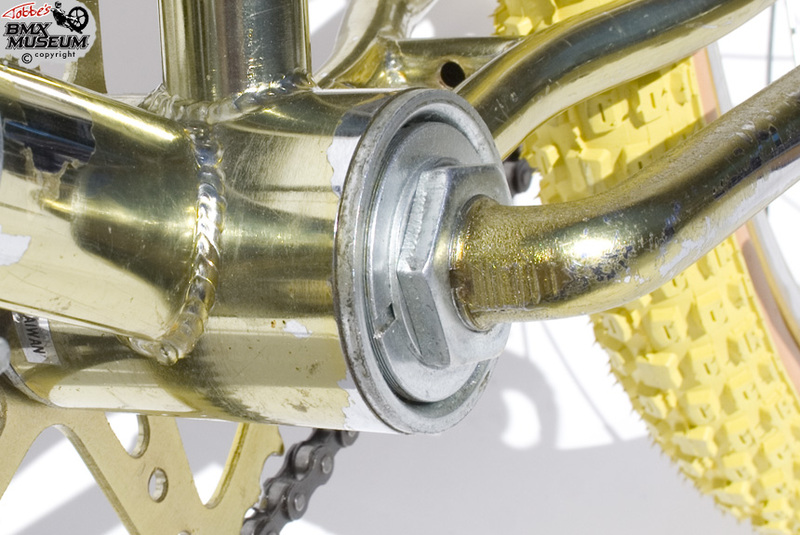 Gold lacquered chrome. 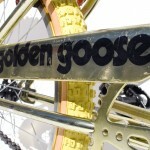 CHAIN GUARD “Golden Goose”. Steel. 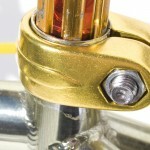 Gold lacquered chrome. 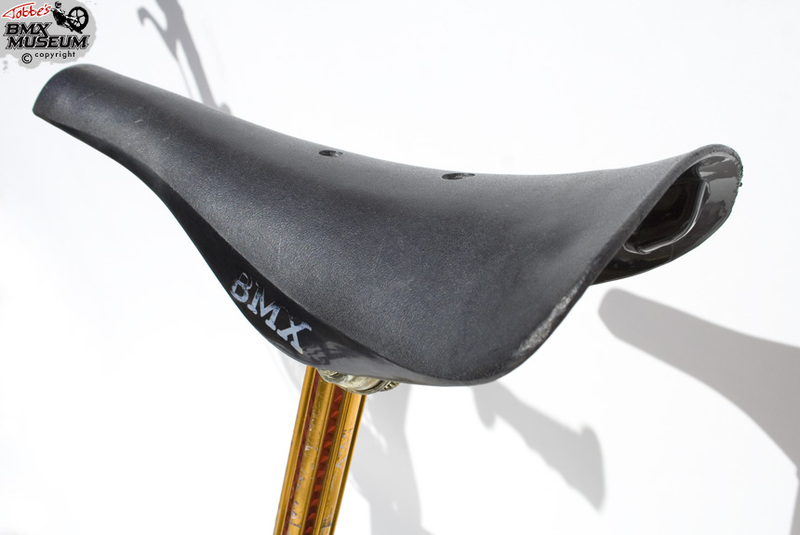 SEAT Kashimax Aero copy. Black. 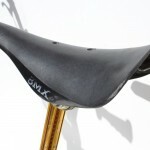 SEAT POST Fluted aluminum 22.2mm. 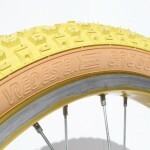 Gold anodized with red stripes. 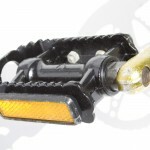 REAR BRAKE Lee Chi MX-1000. Red anodized. 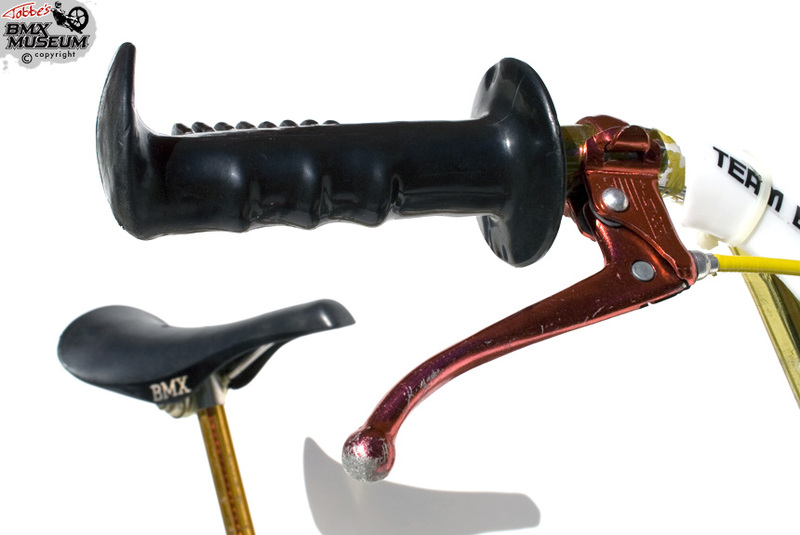 BRAKE LEVER Star. Red anodized. 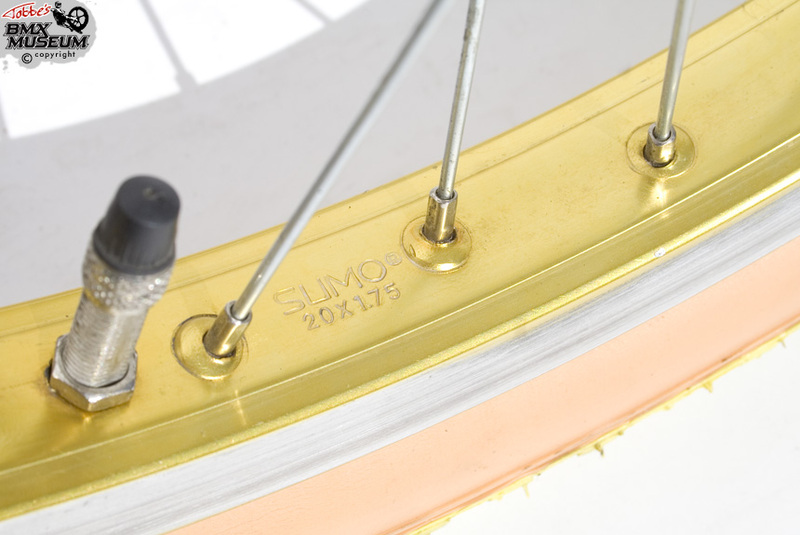 RIMS Sumo 7X 36H. 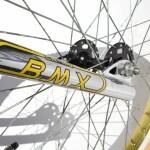 Gold anodized with shiny sides. 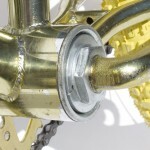 HUBS KJ high flange. Black. 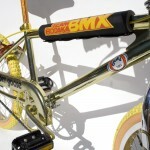 Hi, Yesterday I bought an oldschool bmx with a tag saying “Hodaka made by Taiwan” . 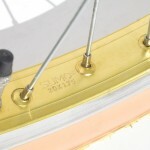 on thesides of the fake gastank are rests of decals “Hodaka” . I got no further info, only that their is no connection with the motorbikes Hodaka.